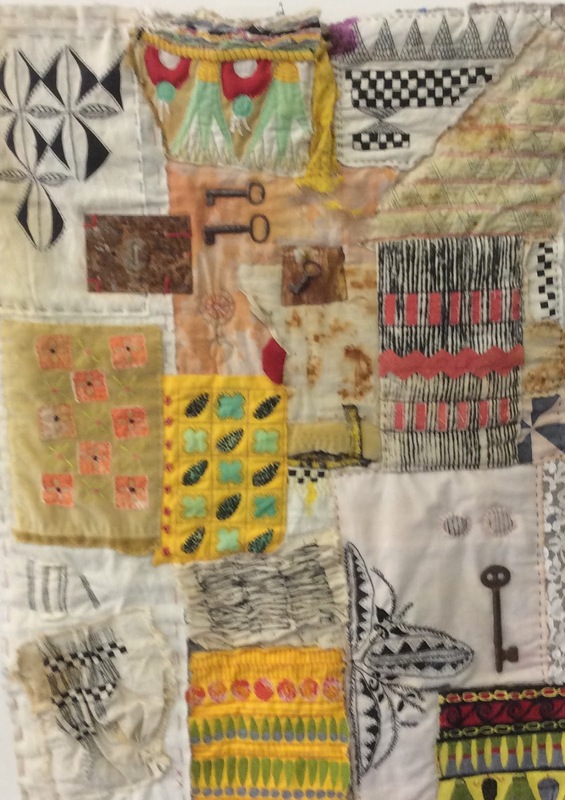 Members of Out Of The Fold will be exhibiting work as part of a group display at the Quilters Guild Big Quilt Show to be held at Blackthorpe Barn near Bury St Edmunds. To give you a taste of what to expect here are a couple of 'sneak peaks' of close-ups of the OOTF work you will see. You wil need to come along to the show to see the whole thing - it will be worth it! Some images of work completed during 2018 have been added to the individual members pages. 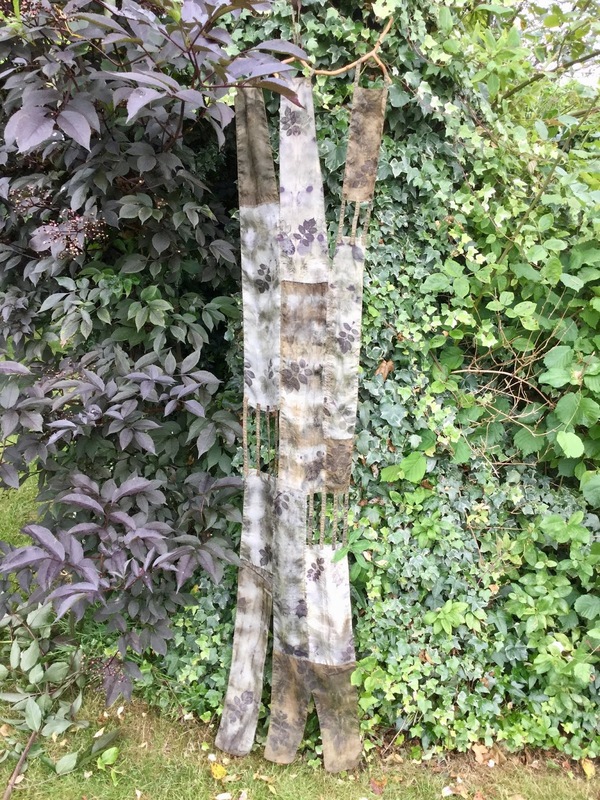 Here is just a snapshop - can you identify the maker from their style? I started sewing and dress making with my mother as a young girl back in the Czech Republic but it was at spring 2008 when attending beginners patchwork class in Aberdeenshire my passion for quilting was born. And it was this passion which led me to start my own patchwork and quilting shop only 3 years later. Through this I had to jump straight into teaching and learn a lot along the way. Having a family with small children and running my own business I never had the time for City and Guilds courses or any other long term learning. My skills all comes from short workshops, online resources and most importantly experimenting and trial and error. I have now published my own book Cathedral Windows - New Views and had a solo exhibition of the quilts travelling around UK. In 2019 I’m preparing my second exhibition with a body of work consisting of quilted and painted Mandalas. I travel to teach groups and give talks as well as demonstrate at shows and other venues. I have joined Out of the Fold as felt a need to be challenged, stretched and also I was missing a company of same minded artistic people. My biggest passion is to make textile art inspired by yoga, sacred geometry, buddhism, symbolism and often carrying spiritual messages. Like most people my journey to joining Out of the Fold has been a varied one. I loved Art and Textiles at school because of inspirational teachers. Encouragement, led me to do a Fine Art degree specialising in Ceramic sculpture. 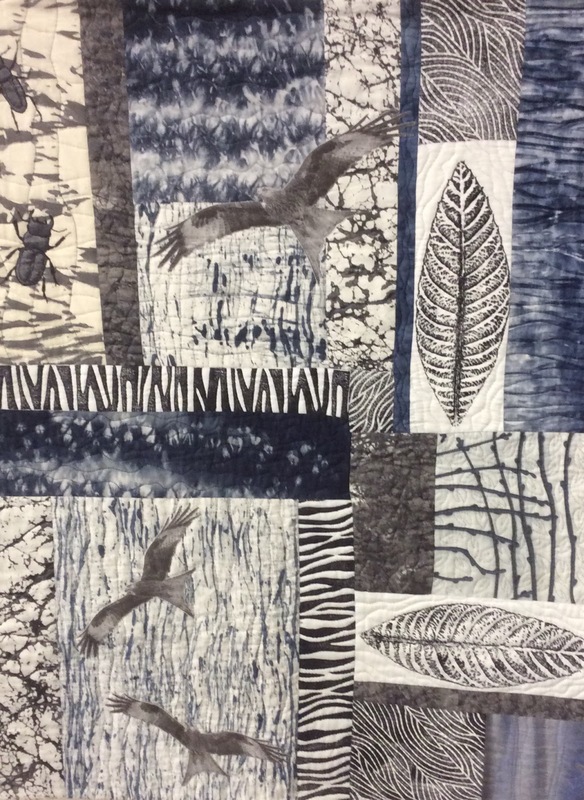 A PGCE in teaching and then thirty years of teaching Art and Textiles to all ages. 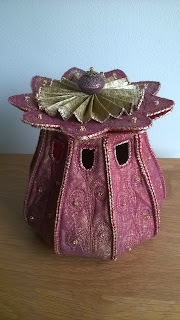 Sewing, whether dressmaking, embroidery or creative textiles has been a part of my life forever. Having taught for years I felt like I had lost my ability to do something for myself. On retirement I joined a City and Guilds certificate course in patchwork and quilting with Mary McIntosh as my tutor to reinforce my knowledge base. It was the best decision I could have made and has helped me to find a route forward. My work is inspired by experiences, nature, places and stories. 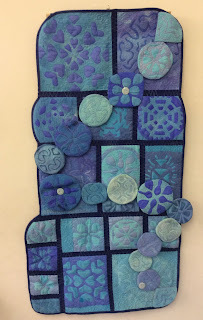 I love to use a variety of different fabrics and mediums, layering them up to achieve a textured surface either in 2D or 3D. 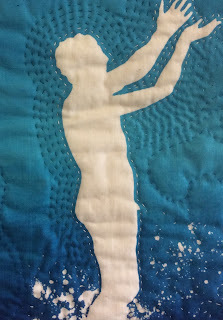 In 2014 I set up a group called the Friday Frolics to create community quilting projects with a local theme. We achieved a third place in 2016 with a piece called the “Battle of Solebay”and first place in 2017 in the group quilt section at the Festival of Quilts at the NEC with a piece called “ The Four Seasons” Working with others is such fun and enables all talents and abilities to shine. I do love to teach. In 2018 I was privileged to win first prize at the Festival of quilts in the 3D Creations section with a piece called “The Gift. I have sewed for much of my life making a wide variety of things. As a young girl I started making dolls clothes with the help of my grandmother, and later progressed onto making clothes for myself and for friends. While still at school my mother and I made several patchwork quilts which were raffled for charity, these were all stitched by hand. I then moved on to soft toys and nursery accessories, and later on to soft furnishings. 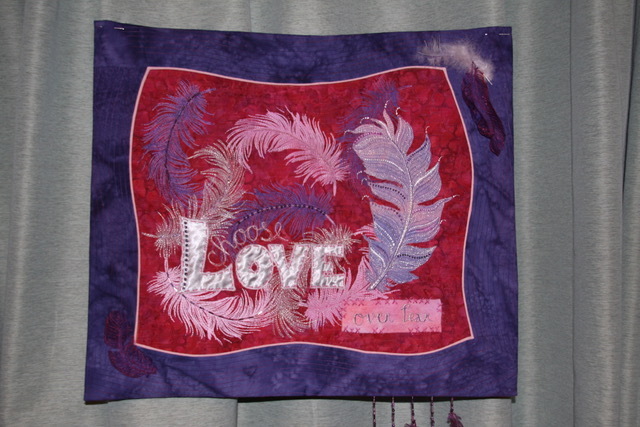 In 2003 I joined a local patchwork group and found a new passion. Later that year I moved to France and enrolled on a City and Guilds Patchwork and Quilting course where Janice Gunner was the tutor. I completed both the Certificate and Diploma over the next five years. I then moved on to Textile Art which brought together many of the skills I had previously gained and enabled me to pursue other interests such as dyeing and embellishing. 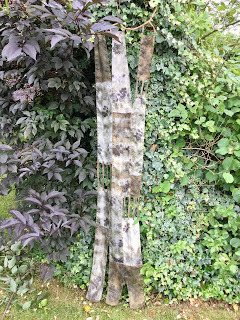 I have experimented extensively with natural dyes to create my own unique fabrics that are used in my textile art. In 2015 I moved back to Suffolk. 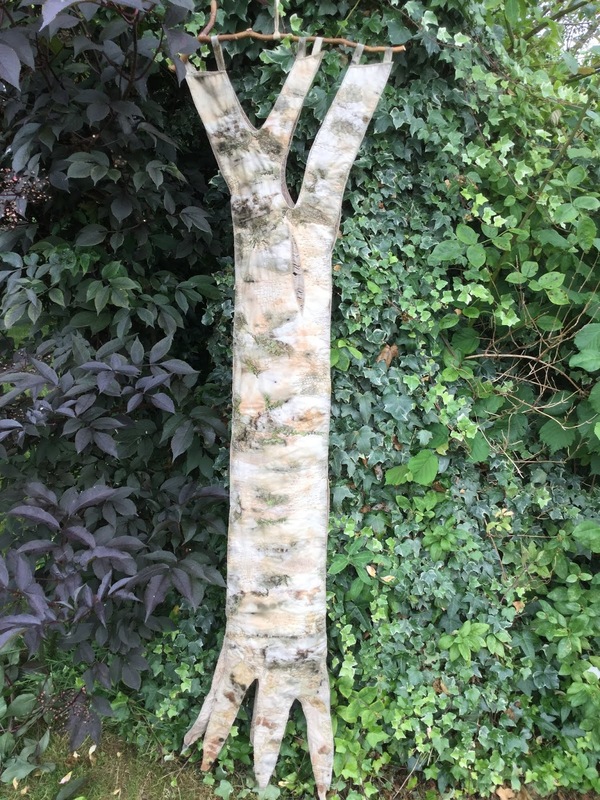 Most of my inspiration comes from trees, shrubs wild flowers and the Suffolk and Norfolk coast. 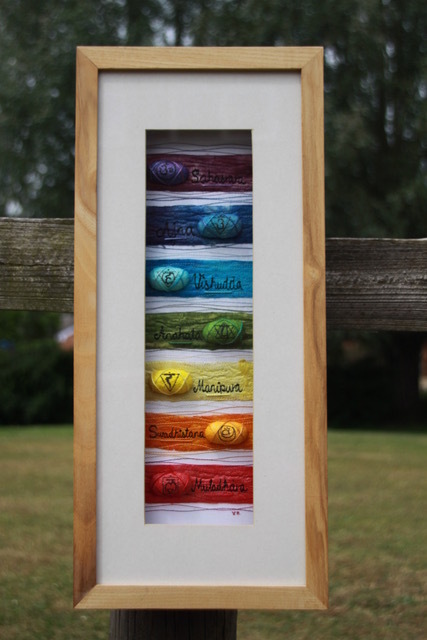 My work has been exhibited throughout Europe including France, Germany, Luxembourg and further afield in Russia, Japan and Brazil. Heather has always been interested in textiles and learnt to sew, knit and crochet at a very young age. Time devoted to creating has varied over the years, and it was only after taking early retirement several years ago that she was able to concentrate on this once again. In order to learn about creating original designs, Heather enrolled on a City & Guilds Certificate course in Machine Embroidery in 2015. She completed this course in 2017 and was awarded one of the student prizes. 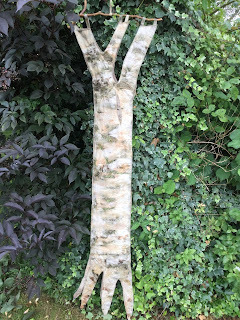 During the course she discovered a love for natural dyeing, especially natural contact dyeing (eco printing) and continues to experiment to push the boundaries in this area. Occasionally she runs workshops to share this exciting natural process. Heather also enjoys felting (wet, nuno and needle felting) and making 3D textile items. She is currently studying for an Advanced Stitched Textile qualification through ‘Creative Stitch’. 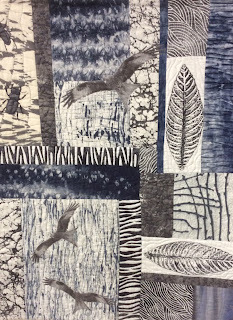 Susie Yates, Heather Black, Dee Nicholson and Vendulka Battais will be joining the group and will exhibit with us for the first time at Blackthorpe Barns in May as part of the Quilters' Guild Big Quilt Show event. 'Out Of The Fold' is a group of twelve Textile Artists based in Suffolk, East Anglia. We create stitched textiles for exhibitions and sale.